Jasper Lumber Company is located in Northwest Alabama and has manufactured quality southern pine lumber for over 25 years. Our goal is to provide our customers with a quality product they can depend on time and time again while doing our part to protect the environment and assure the sustainability of our forests for generations to come. The first step in producing a quality product for our customers begins in the forest. In 2008, we received our first “Green” certification through the Sustainable Forestry Innovative and in 2012, we received our Chain of Custody and Forest Management Certifications with the Forest Stewardship Council. Our focus has always been and will remain on educating land owners, logging contractors and the general public on the importance of protecting our environment and our most valuable resource, our forests. This is why we only use Certified Professional Logging Management contractors who use Best Management Practices in Forestry to harvest our timber. Without our employees, we would not be able to provide our customers with the quality products they demand and are accustomed to buying from our mill. Our employees take pride in the products they make and they go to great lengths to make sure our customers receive only the best from Jasper Lumber Company. Most important, our customers are the key to our success. Everyday, the management and employees of Jasper Lumber Company use a valuable renewable resource in producing a quality product while working in a safe environment. Our success is a result of a tradition of providing quality and superior service to our valued customers – everyday. 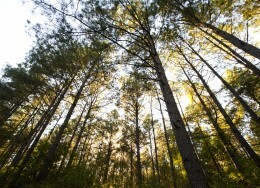 Jasper Lumber Company is actively purchasing standing timer and timberland in Alabama. Click here for information on how to contact one of our experienced professionals.